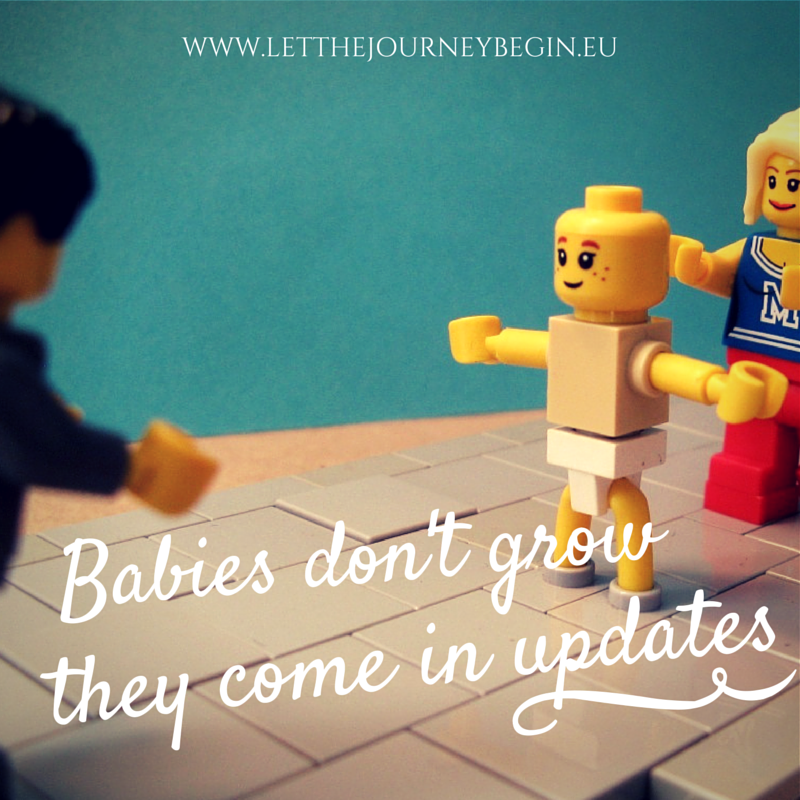 “Babies don’t grow, they come in updates” hubby announced yesterday while having dinner. Well, that is one way of seeing baby development, I thought to myself. I usually visualize it as a tipping point: there is a whole lot going on behind the scenes for a long time until one day the last bit falls into place and new skills unfold. Whichever metaphor you might prefer and however you might choose to label it – update, tipping point, growth spurt, mental leap, or something entirely else – for me these periods of equilibrium swiftly followed by developmental leaps and bounds has been one of the most surprising observations of parenting a baby. And the last two weeks in our household are a perfect illustration. It all started one morning with Birdy getting down from the bed by herself with such confidence as if she had always been able to do it. The next day she started clapping her hands and doing her first recognizable hand waves. A few days later she grasped that the rings of her wood pyramid can be put back on the stick. She does not have the fine motor skills to do it by herself yet but she is happy to let me help. Then she figured out that she can put her stacking cups into one another. Or put other objects in them – the other day I put her sock in one of the cups and she spent the next 10 minutes taking it out and putting it back in again. While all this was happening Birdy also got four new teeth, something that we had been waiting for since the first two teeth appeared in mid-October. And then she topped all these new developments by something truly monumental: her first free steps! As far as “updates” go this one has been huge: in just two weeks our little baby has transformed into a toddler.